The roofs over the heads of Palo Alto residents do a lot to protect them from the elements. The problem is that this protection means that the roof often ends up taking the brunt of the damage. Calling in a professional roofer, like one working with Shelton Roofing, is the best choice possible for people who want to return their roofs to good condition. This is because roof damage comes in various types and can stem from different causes, and trying to deal with these on your own without proper training and experience will only make things worse. Here are a few of the problems that roofers can address. Roofs come in different forms; however, most roofing styles use shingles as the basic material. This is because shingles are a nice, affordable choice and look great from the outside. The problem with shingles is they are more prone to damage than sheet metal roofing and other options. Even though they are only the outer layer, broken or missing shingles still need to be replaced or repaired so that leaks won’t develop. 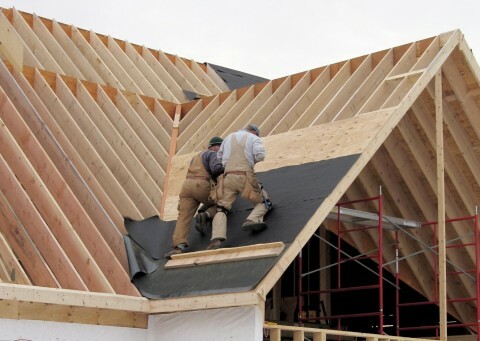 Shingle damage is mainly caused by inclement weather conditions and exposure. Depending on how bad and widespread the destruction is, the repairs can involve a few replacement components or a complete reroofing. Another type of issue that roofers in Menlo Park have to deal with is flashing damage. Roof flashing is composed of strips of material that are placed over the joints of your roof. This is to prevent water seeping into the joints. If these strips become damaged, there is an increased chance of leaks in your roof. Often made of durable material like aluminum, flashing can crack with prolonged exposure to the elements. The rain gutters that encircle the edge of your roof are for more than just convenience. During heavy downpours when rainwater directly falls down the side of your home, the overflow can easily damage the walls as well as seep into any cracks and gaps. Furthermore, when it reaches the ground, the water can erode the soil around your house’s foundations, increasing the risk of further structural damage. Gutters prevent this from happening; however, if they are not properly maintained, they can get clogged from dirt and debris or develop leaks. Properly dealing with these different types of roof damage requires experience and skill. Doing it yourself increases the risk that something can go wrong. Contact local roofing experts to get specialist help in dealing with these issues.